With each progressive landmark Supreme Court case related to firearms, the American public and legal system examines the nature and scope of the Second Amendment. Though some seek to blind the matter by unconstitutionally stripping those rights. 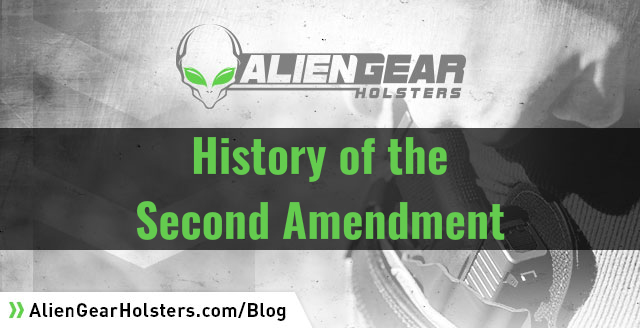 Here are some historic 2nd Amendment Court Cases that defined the right to bear arms. This decision came with the sentiment that the U.S. government was founded by citizens fighting to free themselves from the tyranny of foreign oppression, and that there was a natural right to bear arms. In other words, the Second Amendment provided a foundation for the states to assemble a “well regulated” militia. It did not speak on the individual right to bear arms, but rather that Congress could not inhibit the formation and regulation of a state’s militia, thereby leaving firearms regulations to state powers. “This is one of the amendments that has no other effect than to restrict the powers of the national government, leaving the people to look for their protection against any violation by their fellow citizens of the rights it recognizes…” according to page 92 U.S. 553. Furthermore, the ruling of this Supreme Court case indicated that the right to bear arms is not dependent on, nor granted by, the Constitution. It existed outside it. United States v. Cruikshank, however, has a dark connotation and is seen in many ways as a failure at the hands of the Supreme Court. The case came in the wake of a brutal massacre, taking place Easter Sunday 1873. The Colfax Massacre, or the Colfax Riot depending on some viewpoints, saw the death of numerous black lives attempting to secure the Grand Parish Courthouse. In the midst of a roiling political climate, armed black citizens were armed and protecting the courthouse where votes were being held. After numerous deaths, many of which in cold blood, the Supreme Court did not take any racial undertones into account and instead acquitted the men charged with taking matters into their own hands. Ten years later another Supreme Court case echoed the core idea of the Second Amendment established due to United States v. Cruikshank. The Supreme Court decided in Presser v. Illinois that the Second Amendment along with the Bill of Rights was a limitation on federal government and not upon the states. 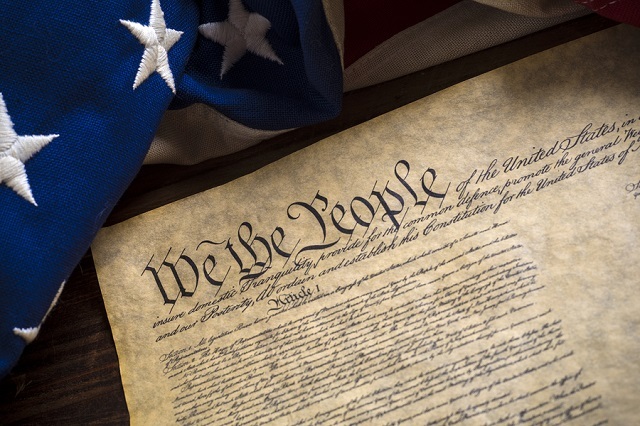 This meant in this case the Bill of Rights could only protect citizens from federal rulings, not state rulings and that the fourteenth amendment still did not apply to state rulings. Cook county, Illinois required legal steps, including licensure and government approval, to march in and belong to a militia. It was a measure of government oversight to suppress organized labor by limiting armed parades in public, unless authorized by law. Herman Presser was within a labor organization of German immigrants operating under the name Lehr and Wehr Verein. The party in Chicago staged a parade of 400 men with unloaded rifles in hand with Presser at head of the operation. This was deemed inappropriate and illegal, and Herman was slammed with a whopping $10 fine that he took all the way to the Supreme Court. More power to him, as according to one estimate $10 then equates to the buying power of $251.03 in today’s standard. Attempting to secure Second Amendment rights by peaceably assembling? Priceless. Well, notwithstanding a fruitless legal battle that spanned several years and is now referenced by anti-gun groups as a primary example of state gun control measures. Don’t worry. Have you ever been in an argument and couldn’t think of a comeback until an hour later? McDonald v. Chicago 130 years later settled the matter of the individual right to bear arms. Unfortunately in 1886, the Supreme Court aligned with the same line of thought as in United States v. Cruikshank and deemed the matter at hand was contingent on state regulation. Franklin Miller, a Dallas cobbler in 1890 who just prior left his wife whose name he forgot after three weeks of marriage, according to A Fearful Deed in the Dallas Morning News, sought to incorporate the Second Amendment right to bear arms into his case, Miller v. Texas, after he murdered a police officer that descended upon him. Prior to the conflict, Miller was arrested on the grounds of living under a roof with a black woman, and he later decried the police for the unnecessary arrest. Police later approached him when he was carrying a .38 Smith & Wesson and Colt .45. Miller fired his weapons. Police shot theirs. One died. Miller was arrested. Miller, on appeal, asserted his Second and Fourth Amendment rights were violated under the Fourteenth Amendment. Additionally, the Supreme Court nicked Miller for not presenting the claim about the Fourteenth Amendment in the original trial. Hands off, the Supreme Court refused to touch the matter once again. Jack Miller, different than the last Miller, was found guilty of transporting an unregistered sawed-off shotgun across state lines. Essentially, he begged the question “What is the Second Amendment?” and “What pertains to the Second Amendment?” in his case, United States v. Miller. Miller’s weapon directly violated the National Firearms Act of 1934, causing him and one other to be indicted on the offense. He appealed on the grounds that the clause within the National Firearms Act of 1934 concerning interstate transport of certain firearms was unconstitutional and the U.S. District Court for the Western District of Arkansas was inclined to agree. The U.S. Supreme Court was not. It found that the district court erred. “In the absence of any evidence tending to show that possession or use of a ‘shotgun having a barrel of less than eighteen inches in length’ at this time has some reasonable relationship to the preservation or efficiency of a well regulated militia, we cannot say that the Second Amendment guarantees the right to keep and bear such an instrument,” according to the Supreme Court ruling on United States v. Miller. The U.S. Supreme Court in the 2008 District of Columbia v. Heller case in a 5-4 majority held that the Second Amendment protects an individual’s right to bear arms and that the District of Columbia violated that right with its total ban on handguns and its requirement that firearms in the home be rendered nonfunctional, despite their need for self defense. Heller, a D.C. special policeman, filed a suit on Second Amendment grounds for those violated rights after being denied a handgun by the city. The matter of D.C.’s firearm illegalities were subject to a prior case, Parker v. District of Columbia, which eventually made its way up to the Supreme Court for ruling in the form of District of Columbia et al. v. Heller. 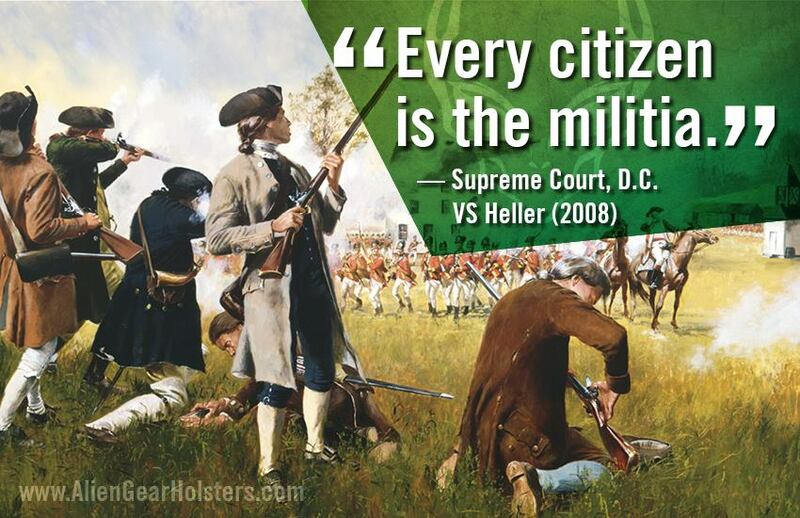 Finally, within this case the Supreme Court analyzed the text within the Second Amendment and picked apart each portion, not stopping at the “militia” prior cases ruled on. The opinion of the Supreme Court, penned by Associate Justice Antonin Scalia, is that the prefatory clause announces a purpose but doesn’t limit or expand the operative clause. 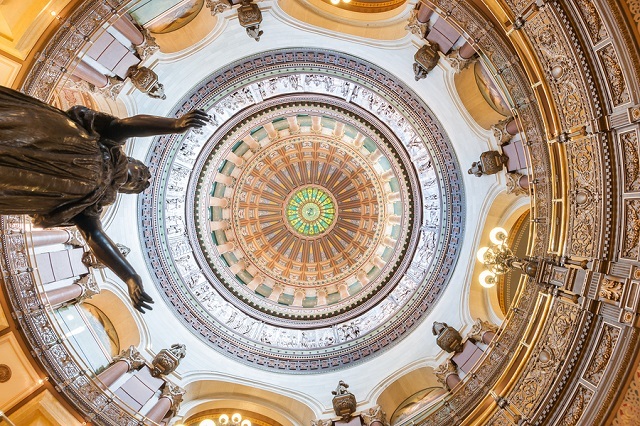 The court found three state Second Amendment proposals that support the individual’s right to bear arms and that United States v. Cruikshank and Presser v. Illinois do not refute the court’s opinion. Additionally, United States v. Miller did not limit a state militia’s right to keep and bear arms, but rather spoke to the effect of the type of firearm used. The final judgment of Heller’s case fell short of announcing any verdict on whether or not the Second Amendment restricts the state’s regulation of firearms as it does the federal government’s. Though that matter was soon cleared up with the most recent form of legislation on the subject at hand. 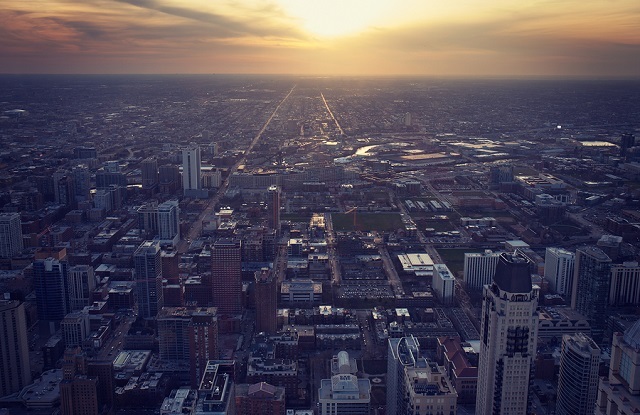 In McDonald v. Chicago, the Supreme Court reversed Chicago’s gun bans and indicated the Fourteenth Amendment extended to states and municipalities the Second Amendment right to keep and bear arms. 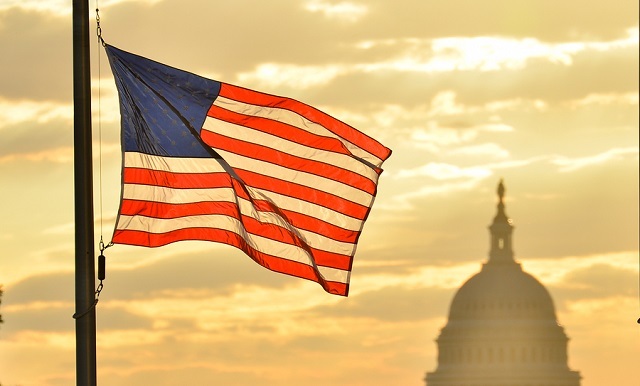 The 5-4 majority decision in June 2010 held that rights “fundamental to the Nation’s scheme of ordered liberty” or “deeply rooted in this Nation’s history and tradition” are to be applied to the states through the Fourteenth Amendment. Because of the ruling in Heller that self-defense is a deeply rooted right in American society, the Second Amendment was then transferred to state governments. Justice Samuel Alito wrote in the plurality that the due process clause of the Fourteenth Amendment was the section that applied to the case at hand. 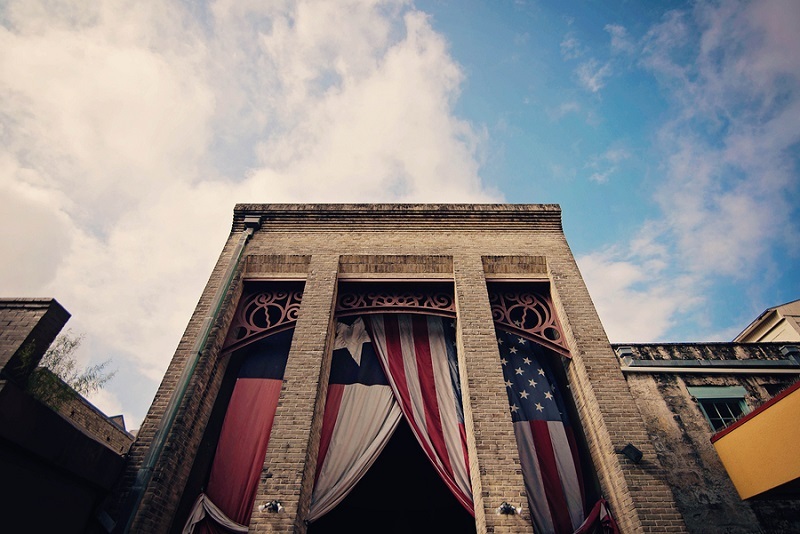 Justice Clarence Thomas, on the other hand, argued that the Privileges and Immunities Clause better fit the case, but Justice Alito noted that since the Slaughterhouse Cases ruled out that clause, the appropriate route for affording rights was through the Due Process Clause. 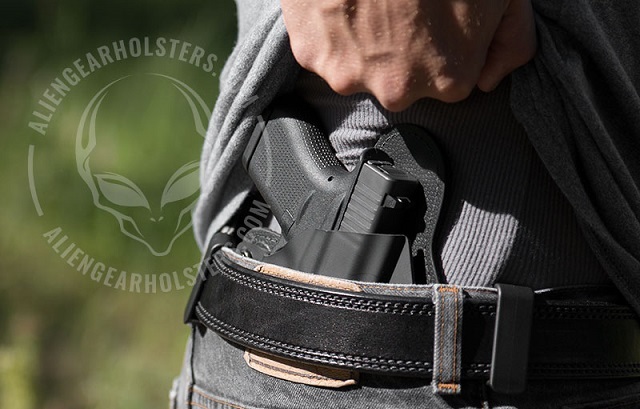 According to the Privileges and Immunities Clause, “the citizens of each state shall be entitled to all privileges and immunities of citizens in the several states,” which speaks to out-of-state citizens being treated the same as in-state, an argument at the base of CCW holster and carrying reciprocity. Given the history, what is the Second Amendment’s future? After analyzing the legal context of the Second Amendment, it’s pertinent to ask what is the Second Amendment’s future. Are universal background checks the next matter to be battled in the Supreme Court? Will smart guns make their way into legislation? The future of the Second Amendment rests on the shoulders of the American public and responsible concealed and open carriers.